I love a great linen pant for those cooler Summer nights. Although they can get a bit wrinkly (I travel with this steamer) they are fantastic for me to wear in the office and out! 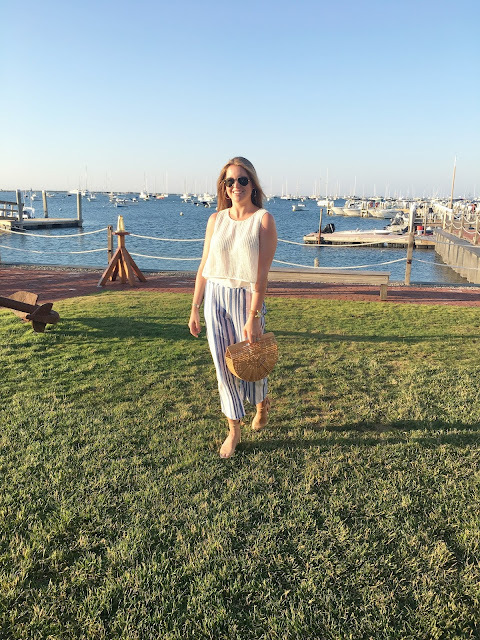 I scooped these pants up while in Nantucket this past weekend and they've inspired me for this post. Linen pants can definelty lean on the more casual side but whether they are corpped, or wide leg I feel with the right shoe and top you can really play around with your look. If I was going to the office I would wear these, with this top and these sandals. And on a more social, nighttime note, I would wear these jogger style pants, with this top, my beloved wedges as seen above and these earrings! Shop more linen pants below!